When it comes to Human Resources, hiring is one of the biggest aspects you’ve got to get right. Above all else, hiring talented employees is the key to success in today’s economy. At Payentry, we give you the tools to retain and recruit the right people. Our efficient Human Resources onboarding system will give you a leg up, helping you find new hire solutions that get your employees started on a timeline that works with your goals. Hiring is a good thing! It means you are growing. However, managing the process of hiring can be a real headache. There are mountains of paperwork and ever-changing regulations, and every little mistake increases costs and inflates your timeline. With our advanced employee onboarding systems, you will avoid the common errors that plague Human Resources. Payentry’s Hiring and Onboarding tools cover all your new hire needs. When it comes to Payentry, background checks, E-Verify, and Work Opportunity Tax Credit screening are just the start. 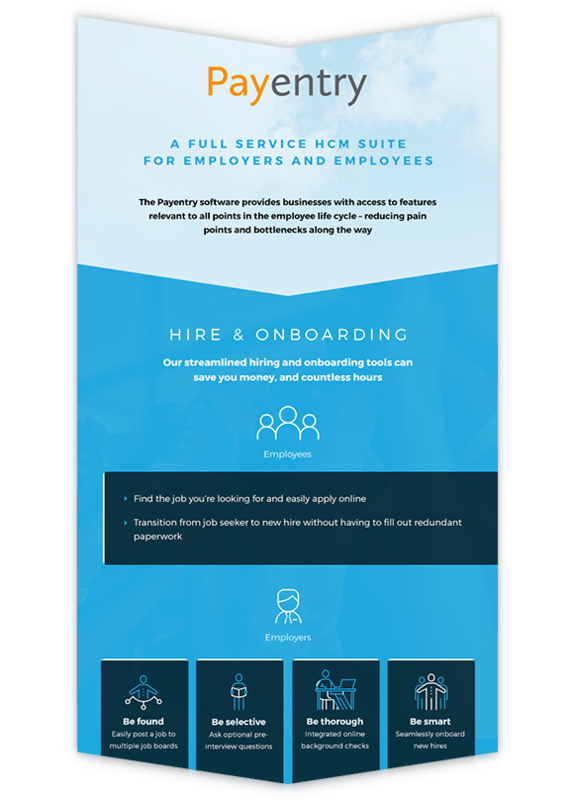 No matter your needs, Payentry’s superior HR onboarding software will take care of the little details, leaving you to focus on finding the right talent for your business. 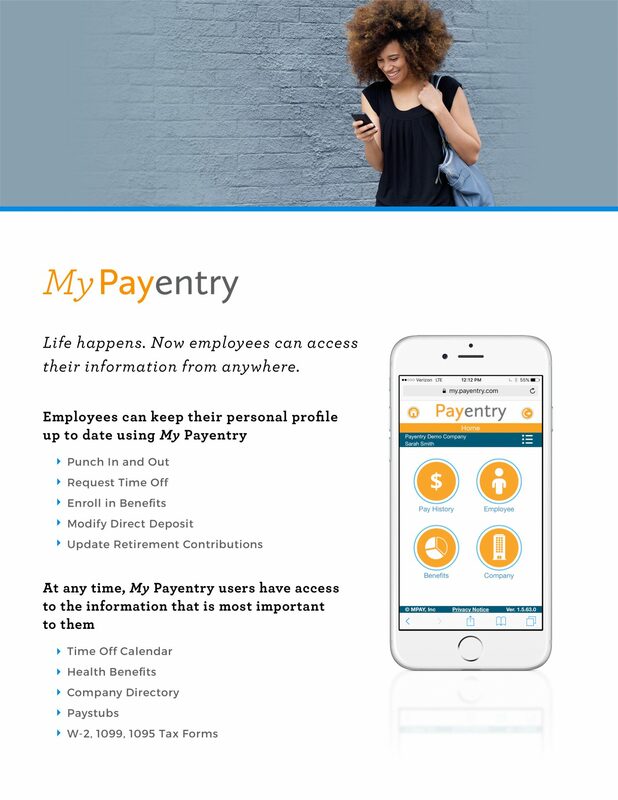 My Payentry lets employees quickly access paystubs, update direct deposit information, log time punches, and more. To top it off? Now, your employees can access all this information from their smartphone or desktop. The flexibility of My Payentry means that employees can find most of the answers to their questions without ever having to reach out to the HR team. With My Payentry, the days of wading through piles of paperwork and duplicate employee requests are gone. HR will be freed up to focus on more pressing matters, and your employees will have peace of mind.